Win 7 Smart Defender is the PUP that uses misleading techniques to prevent removal. Use Reimage to locate malicious components and get rid of them faster than with uninstall instructions. A full system scan blocks virus reappearance and prevents traffic to malicious domains. HOW CAN I GET INFECTED WITH Win 7 Smart Defender? HOW TO REMOVE WIN 7 SMART DEFENDER? Win 7 Smart Defender is a dangerous application, which can return only misleading information about computer’s security. Be sure that this program is useless and should never be trusted. 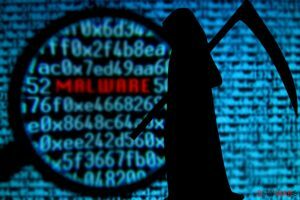 Though it may seem that it seeks to warn you about some dangerous viruses found on your machine, it does not really detect these infections. It simply reports about legitimate files and then offers to remove them. You may ask why it does that. The answer is really simple – this rogue seeks to create a need of its licensed version. In reality Win 7 Smart Defender has no ability to remove any kind of virus. You must stay away from what it reports and remove Win 7 Smart Defender instead. The biggest risk of getting infected with this dangerous application is when having Windows 7 OS running on your machine. Remember, Win 7 Smart Defender is useless in virus detection and removal, so you must get rid of this rogue as soon as you can. If ignore, it may also download other viruses, slow your system down and initiate more problems on your workstation. 4. Enter this link to your address bar: https://www.2-spyware.com/download/hunter.exe and download a program on your desktop. Launch it to kill the malicious processes of Win 7 Smart Defender and remove its files. This entry was posted on 2013-03-04 at 02:13 and is filed under Rogue Anti-Spyware, Viruses. You can quickly scan the QR code with your mobile device and have Win 7 Smart Defender manual removal instructions right in your pocket. How did you remove Win 7 Smart Defender?